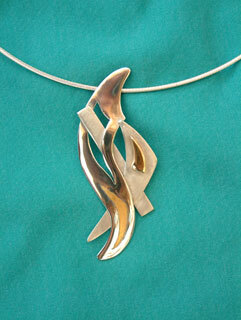 This pendant was one of a series inspired by sail patterns and waves. The pendant is formed of three layered parts with a 9ct gold motif and 9ct gold inlay. This finish is partly high polished and partly satin finished.